1 Bdrm Top flr Flat (left). Hall. Lounge. Dining kitch. Bdrm. Bathrm (CT band - A). 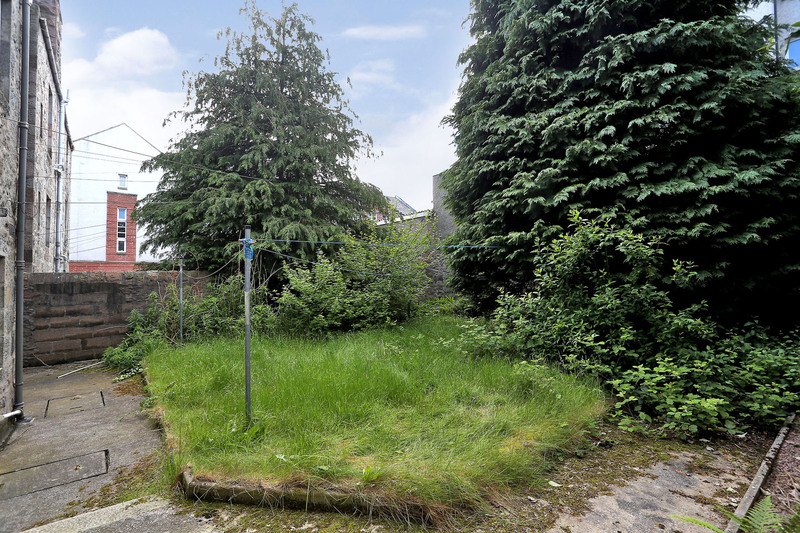 Price around £97,000 Entry by arr. Viewing contact solicitors. (EPC band - D). 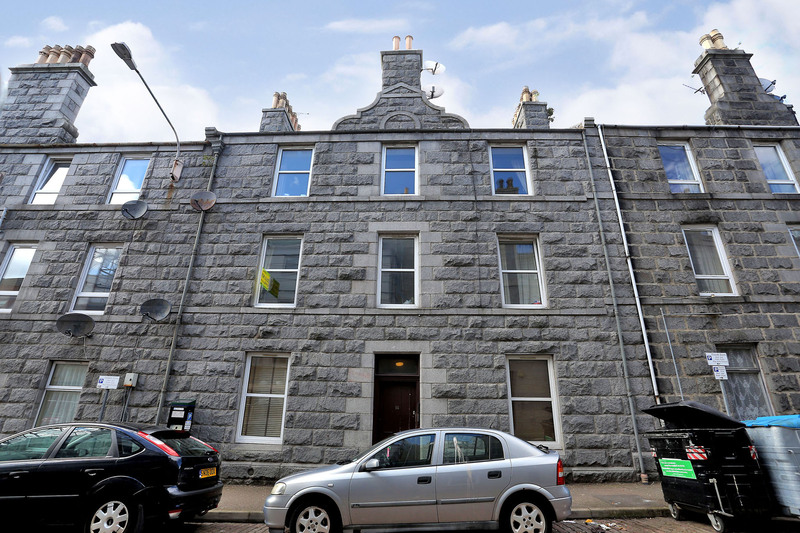 Forming part of a traditional granite tenement in a quiet street to the north of the city centre this well presented top floor flat is offered for sale. 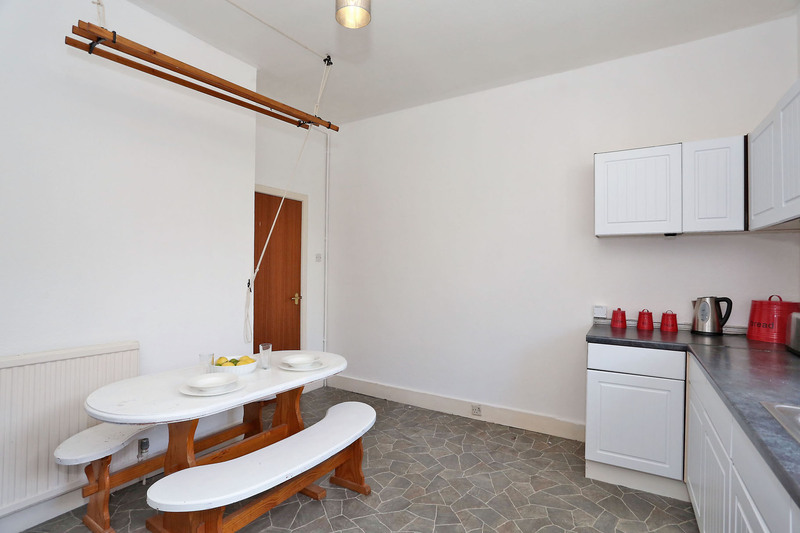 The building benefits from a telephone security entry system, original mosaic tiled flooring in the entrance hall and windows on the half landings. 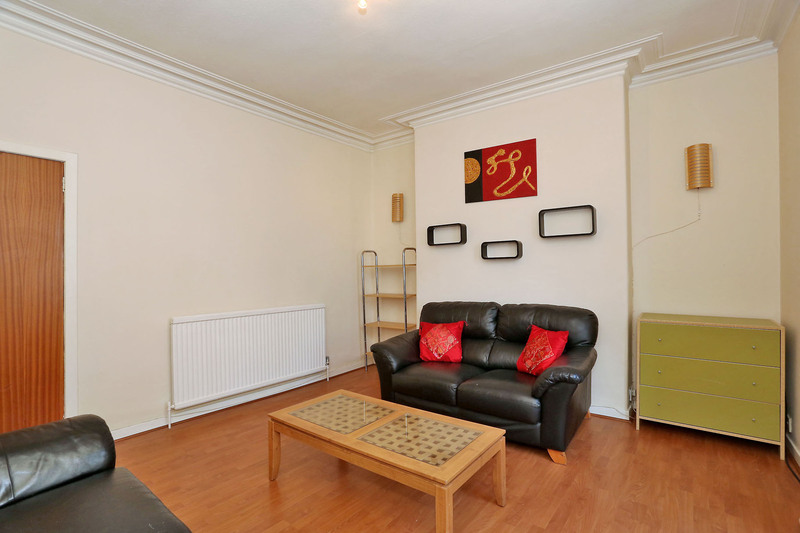 The flat itself is bright and spacious and would be an excellent opportunity for a first time buyer looking to take their first steps on the property ladder. 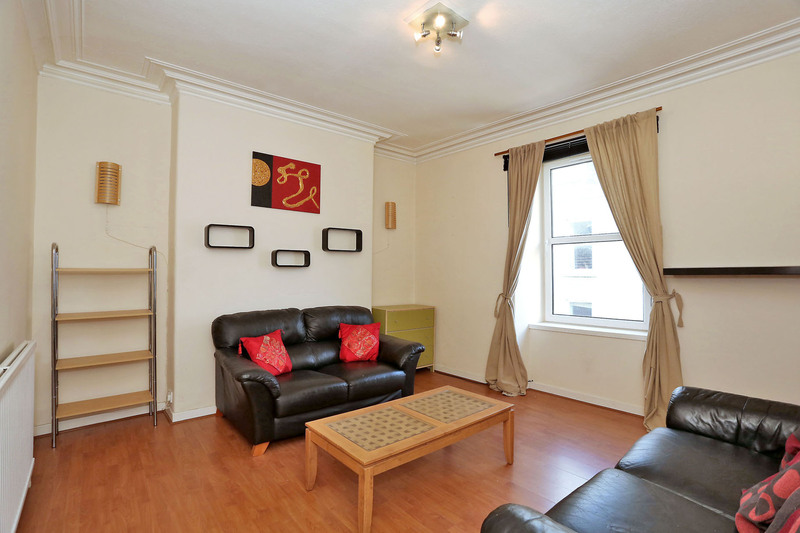 Alternatively it would suitable for the buy to let investor looking to add to their rental property portfolio. 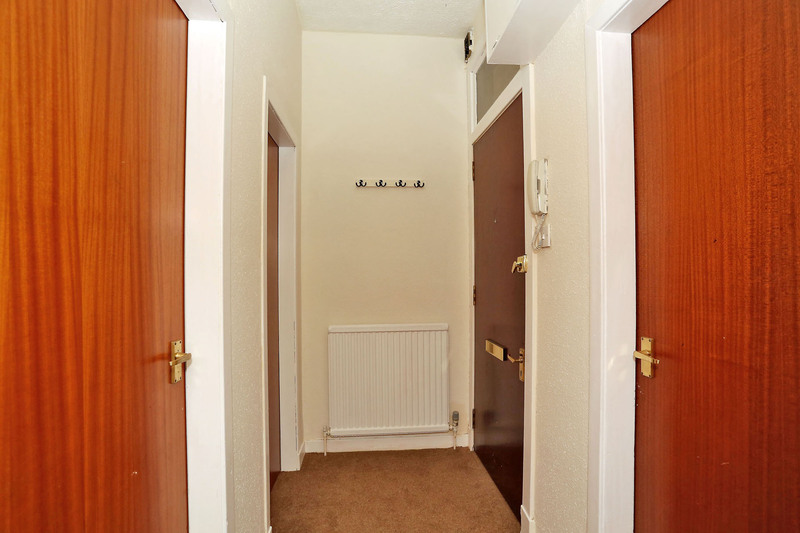 The entrance hall has wall mounted coat hooks and doors leading to all other living accommodation. 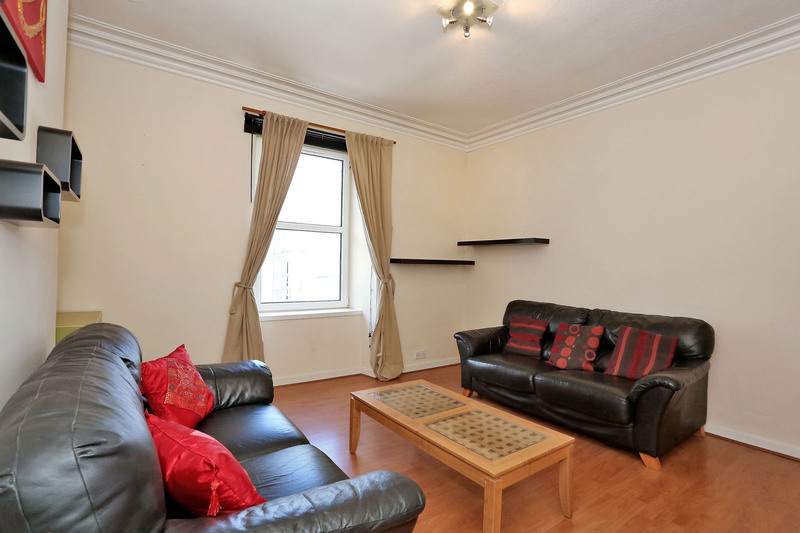 The lounge is an attractive room with laminate flooring, high corniced ceiling and window to the front. 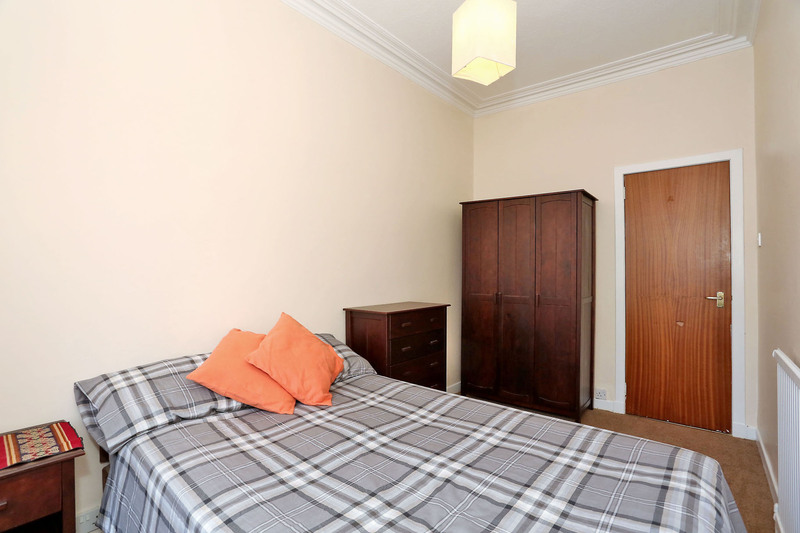 Also enjoying a front aspect is the double bedroom which has neutral decor and a fitted carpet. 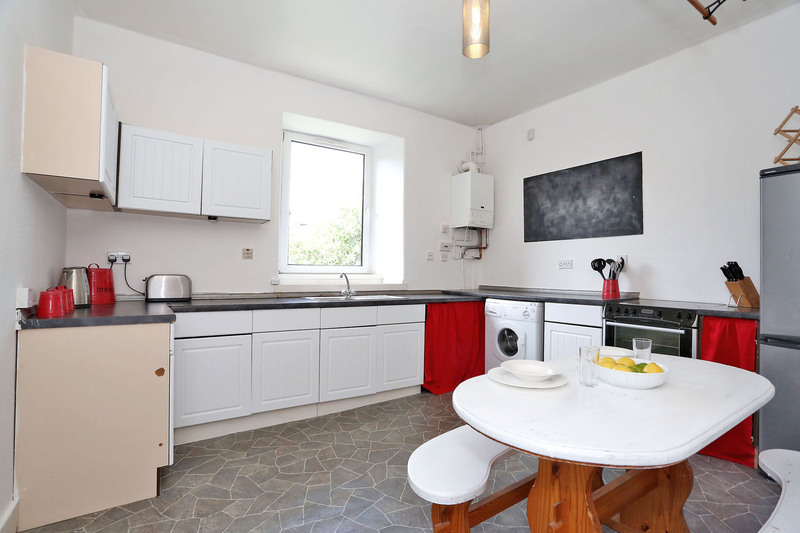 Viewers should take particular note of the particularly spacious dining kitchen which is fitted with a range of storage units with co-ordinating worktops. 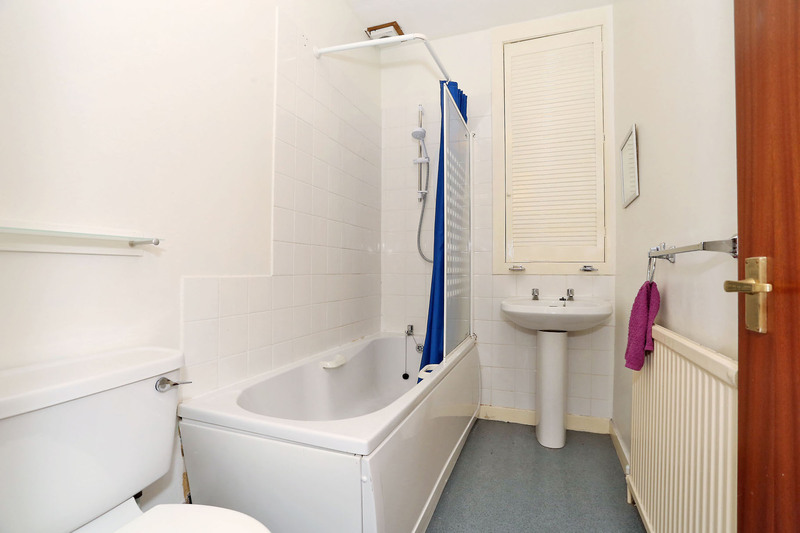 Completing the layout is the bathroom which is fitted with a white suite with electric shower over the bath. Location Fraser Street is a residential street which lies on the west side of George Street, north of Hutcheon Street. 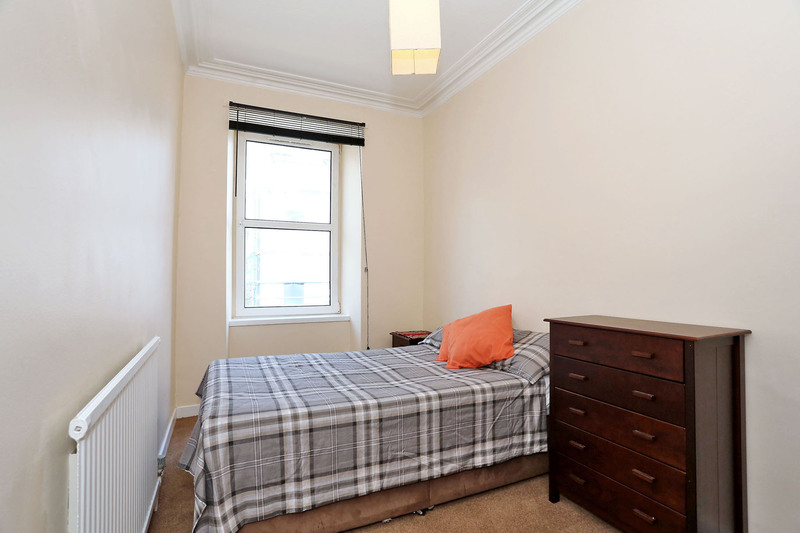 It is within easy reach of the city centre, the Aberdeen University Campus at Old Aberdeen, ARI and the College of Further Education at the Gallowgate. Local shops are nearby, and a regular bus service passes the end of the road, providing links to all parts of the city. Directions Travel north along George Street and continue straight ahead at the traffic lights with Hutcheon Street. Turn left into Fraser Street and No 14 is the second last property on the right hand side. Garden There is a shared garden to the rear laid in lawn with a number of mature shrubs and trees. Parking There are parking meters in the vicinity. Parking permits are available from the City Council for an annual fee. Fixtures and Fittings All carpets, curtains, blinds and light fittings included. 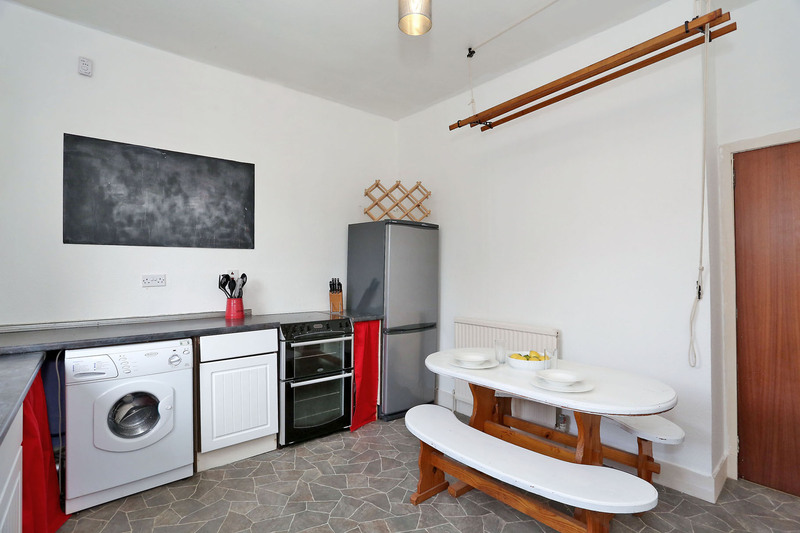 Cooker, fridge freezer and washing machine included. 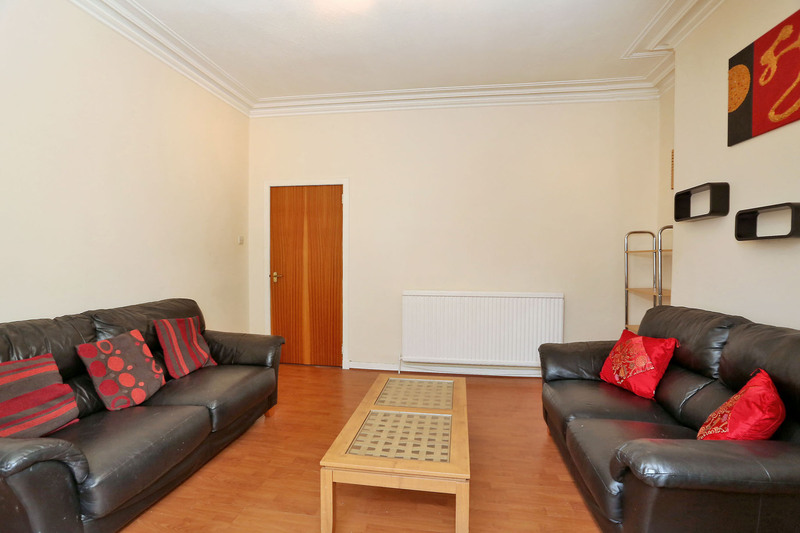 Various items of furniture may be available by separate negotiation. 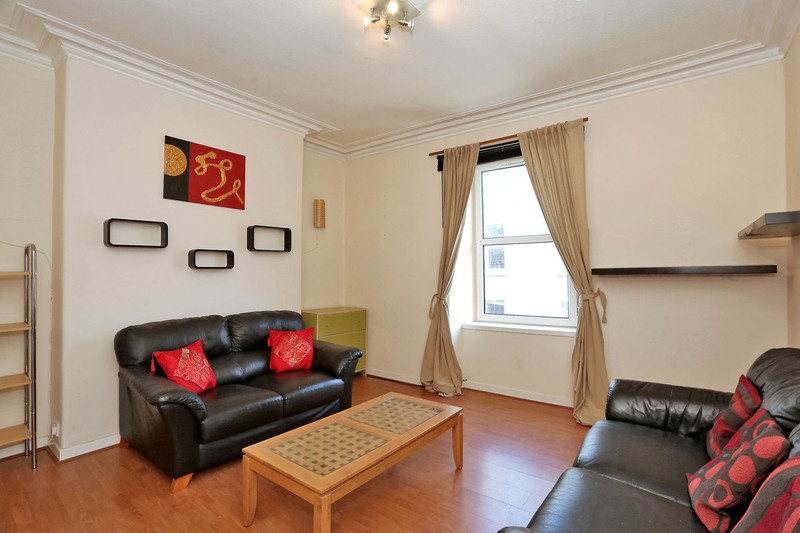 Services The property has full gas fired central heating and double glazing.